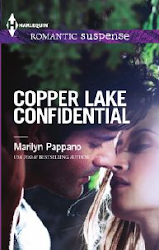 Marilyn Pappano: What's Inside Your Head? I've gotta say I have always loved reading since I was a kid and even toyed with the idea of being a writer. But stories don't seem to appear in my brain. So I do wonder how my favorite authors can come out with so many stores. I am truly amazed at their abilities. Ha! Thanks, Marilyn, for letting me off the 'weird' hook! In four hours I had the main characters, plot, conflict, and cliffhanger ending on my computer. Now that's out of the way, I can get back to work. Love that opening line. Isn't it wonderful when something just flows like that? They read books! Gotta hope. I overheard a woman the other day at the store saying, "I don't read books. Don't like them." I was flabbergasted. What in the world do you do if you don't write OR read?! Aren't you dead then?